Yesterday we went blueberry picking. We drove about 25 miles up the coast and then another fifteen to get to Gibson Farm. We went there last year and were dazzled by their beautiful bushes; Jerseys and Berkley’s to be exact. The Berkley’s are larger and very sweet, my husband’s favorite. But I felt the slightly smaller Jerseys were more flavorful. We picked over 13 pounds. 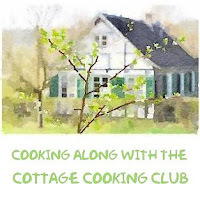 The recipe I have today is for blueberry jam and since my usual canning buddy is out of town my husband helped me. How sweet is that right? Anyway we measured out 18 cups of berries after deciding to combine the 2 different varieties and popped some in the freezer for later. The recipe I used for today’s jam came from the website Food In Jars. (Whenever I can or preserve anything I go here first). Marisa sure knows her stuff. In this recipe cinnamon and fresh nutmeg is used to spice things up. And what an amazing flavor they did add. Later that day at the post office I saw someone mailing a jar of blueberry jam with basil and balsamic. Will definitely try that next time. Hope you are all having a great week. Recipe below. Freshly picked blueberries make a delicious summer jam. Perfect on toast, delicious in marinades and wonderful in baked goods. Prepare jars and lids by washing in soapy water first, rinse carefully. Sterilize by boiling jars and lids at least 10 minutes. Carefully remove from pot and set on a clean towel to dry.Rinse berries, drain well then place in a non-reactive pan. Mash slightly. Add sugar and pectin, stir until combined. Cook at a controlled boil for 10 to 12 minutes. The mixture should look thicker and the foaming has stopped. *When this happens do the plate test. * If ready add the cinnamon, nutmeg and lemon juice and zest and mix well.Remove jam from heat and ladle (or funnel) into jars, leave about ½ inch from the top. Carefully (jars are very hot) wipe the rims and apply lids and rims. Process in a boiling water bath for 10 minutes in a large canning pot. Make sure jars are completely covered. When time is up removed jars and place them on a kitchen towel to cool.Once cool, remove rings and test seals. Wow Cheri - I am seriously craving blueberries today and so wish I had enough to make this jam. It sounds wonderful and they look so fresh and plump. Very nice post! Thanks Tricia, love the u-pick it concept, so much fun. I just love berries and this one looks so delicious.Great recipe. Bookmarked! i love berries too, especially right of the bush. This was the second time we have been to a place like this, so much fun. The cinnamon brings a wonderful flavor to the jam, buying some fresh bread in the next town today. Cheri I have never been to blueberry picking but I can guess that it must be so much fun!! Love the test you showed for jam!! Genius trick! Thanks Ami, that tip is from Marisa's site food in jars, she is amazing. I have seen some blueberry/blackberry bushes here in the neighborhood, but never know they are edible or not. Your homemade blueberry jam looks fantastic, Cheri. Thanks Angie, we have huckle berries around us but most of the time the birds beat us to them when they are ripe. Thanks Karen, we love them too! I love such DIY posts, and that plate taste sounds fun, Cheri. I am sure making blueberry jam and canning is so much fun! We did have fun, thanks Anu! I don't even know why I've never thought about making blueberry jam! I only recently ventured into easy strawberry jam and maybe I have the nerve to branch out now? This is definitely inspiring. Enjoy your wonderful homemade jam! Thanks Monica, you should branch out, it is so much fun and delicious too! The blueberries look gorgeous, lucky you picking fresh ones. Also love the blueberry jam. looks perfect. Adding cinnamon is a great idea. Thanks Suzanne, I love the combo of cinnamon and berries, really enhances the flavor. Oh, wow, picking blueberries sounds like so much fun! They have been my favorite fruit this summer so far, and I can't imagine how much better they must taste picked fresh. Your jam sounds so wonderful, Cheri, with the spices in it. Loved seeing the pictures of the berries and the jam. Thanks Shari, I have been loving blueberries and peaches, cannot get enough. Thirteen pounds? That's some serious picking, lol. Love these pics and love your beautiful jam! Nice of hubby to get in there and help. I'm going for some more this weekend...they are the best! Thanks Robyn, they are the best, can't get enough of them.Have a great week-end! Hi Cheri, I can imagine the rich flavors. I have picked many blackberries in my life, but no blueberries. You are truly blessed. Thanks Linda, blueberries are actually easier to pick because there are no thorns. Take care! It was a fun time, thanks Amy. I love the sound of adding cinnamon to your jam, I bet this will be so good in the autumn! Thanks Caroline, I think so too! 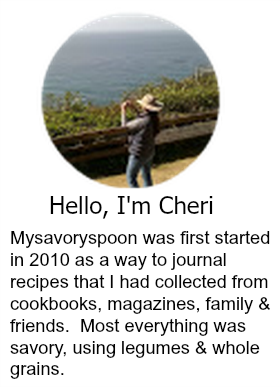 I love homemade blueberry jam, and especially am intrigued by the spices you used, Cheri! Really nice! Thanks David, I think the cinnamon especially really enhanced the flavor. Such a sweet husband to help you out! I have been picking and freezing blueberries this week too. Your jam flavors sound like they would be a perfect choice for fall and winter eating with the lovely cinnamon and nutmeg. Blueberries are so delicious right now, I froze some too for later, can never have enough. Thanks Mindy! Oh, my. I bet this is amazing! And how wonderful to open a jar in the middle of winter to bring a little sunshine to your plate! Thanks Liz, next I'm going to try peaches. Oh I love picking blueberries!!! Yum, your jamlioks super delicious. Thanks Julie, we had fun! Sooo delightful, Cheri. Confession: Didn't realize there were varieties of blueberries....and I am a fan of the fruit. So, of course, I'd love a big scoop of your jam to slather on my morning toast. I did not know that either Kim until that day, but it does make sense. It must be so delicious... I received today blueberry jam from my brother. Great isea Raymund, will have to try that, thanks! The cinnamon really intensifies the flavor, thanks for stopping by Ashley! I agree, blueberry and cinnamon are wonderful together.